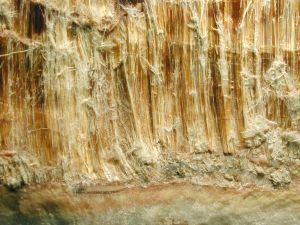 Asbestos is a naturally occurring substance that has been used for thousands of years by humans due to its natural abilities to resist heat, fire, dangerous chemicals, and electricity. However, it was not until the industrial revolution in the United States and Western Europe that asbestos was heavily mined and used in virtually every aspect of construction and production. While it is now common knowledge that asbestos exposure can cause serious illness, many do not know the differences between various illnesses caused by the deadly substance. Experienced Boston asbestos exposure attorneys know when asbestos fibers are inhaled, they can become embedded in the layer of tissue in the lungs and other organs known as the mesothelium. Once in the mesothelium, the human body has no way to expel these fibers, and doctors do not have the ability to detect or remove them. Over a long period of time (typically 20 to 50 years) the fibers can metastasize into the deadly form of cancer known as mesothelioma. The Mayo Clinic defines malignant mesothelioma as a rare form of cancer that develops in the mesothelium. It is rare, in that it is hardly ever caused without exposure to asbestos. While mesothelioma is the cancer that most often comes to mind when thinking of asbestos exposure, it is not the only one. Another form of cancer caused by asbestos exposure is known as asbestosis. Asbestosis is defined as a scarring of lung tissue caused by inhalation of asbestos fibers. While asbestosis, like mesothelioma, is also incurable, it is considered more treatable than other forms of asbestos related cancer. With proper treatment, an asbestosis victim can lead a potentially longer life, but the disease is still considered deadly. Treatment for asbestosis involves oxygen therapy and regular monitoring to see if the disease has progressed over time, as it is known to do. When asbestos worsens, patients will experience increased shortness of breath and other physical impairments related to pulmonary disease. If the scarring does worsen, patients may need additional medications and, in some cases, a lung transplant. Symptoms of asbestosis include shortness of breath, a persistent productive cough, chest pain, chest tightness, and a crackling sound when breathing. If you are experiencing any of these symptoms, you should contact a doctor at once, so he or she can order a chest x-ray to diagnosis your illness. If left untreated, asbestosis can be fatal. If you have been diagnosed with asbestosis, there are certain things you can do to help your attorney prepare your case. One of the most important things is gather as much evidence as possible to prove when and where you were exposed to asbestos. While it is often not an issue to prove asbestos exposure caused your illness, it is necessary to identify the source of asbestos exposure, so your attorney can identify who the defendants should be in your case. One of the ways you can do this is to write down all jobs you have had and who your employers were. Occupations that involved working in factories, construction, or the shipping industry are often good places to start. If you have been exposed to asbestos in Massachusetts, call the Law Offices of Jeffrey S. Glassman for a free and confidential appointment — 1-888-367-2900.